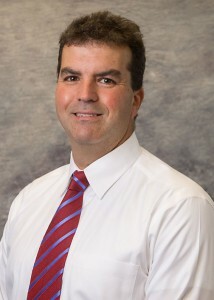 Dr. Hajjar is a board-certified and accomplished neurosurgeon with a broad range of technical and clinical expertise in reconstructive spine surgery, degenerative spinal conditions, treatment of spinal tumors, cerebrovascular disorders, brain tumors, peripheral nerve surgery, spine and cranial trauma, and microscopic/minimally invasive spine surgery. His comprehensive knowledge of these various specialties provides him with the insight and experience to identify the most appropriate and effective methods of treating the full variety of spinal and brain disorders. Very knowledgeable and helpful. Listened to all of my concerns. Gave me conservative therapy options but I ultimately chose surgery. great recovery, feel 100%, and have a great scar to boot. Doctor Hajjar spent a lot of time with me explaining my back problems to me, and gave me many choices about what to do next. We tried a few conservative therapies, but ultimately Doctor Hajjar did surgery on my back and I am so happy to be pain free and active again! He is a wonderful doctor. I would recommend him to anyone needing neck or back surgery.